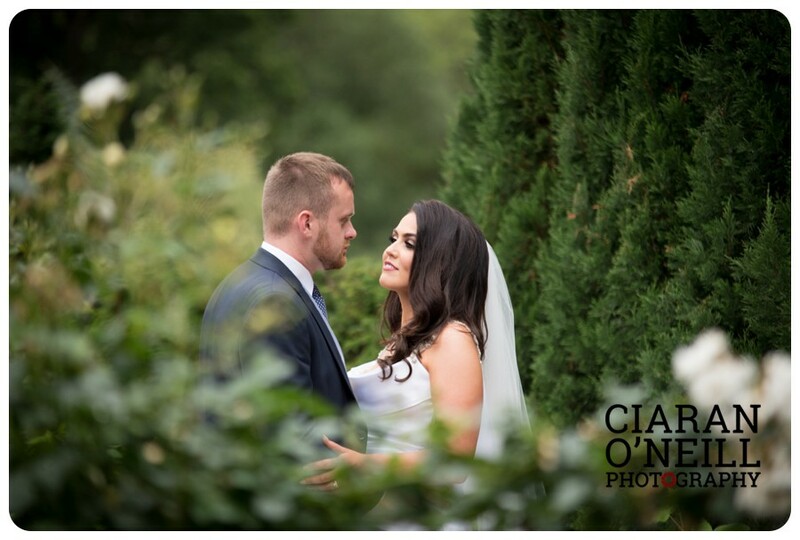 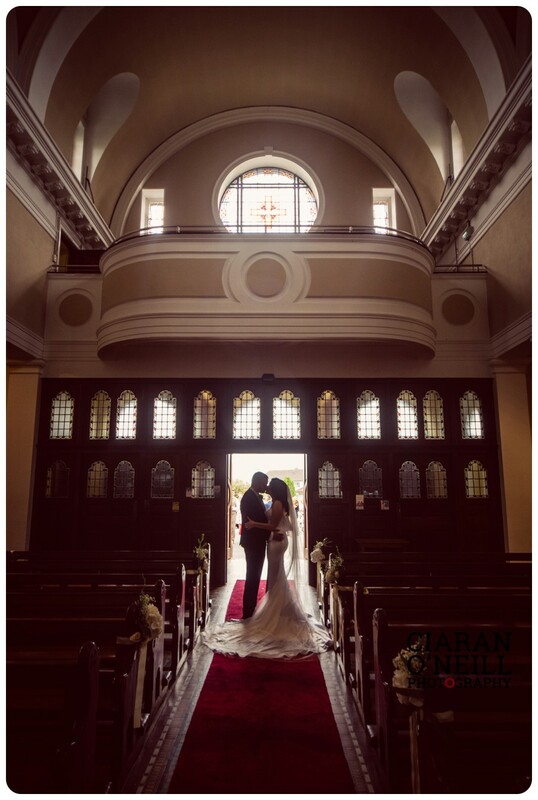 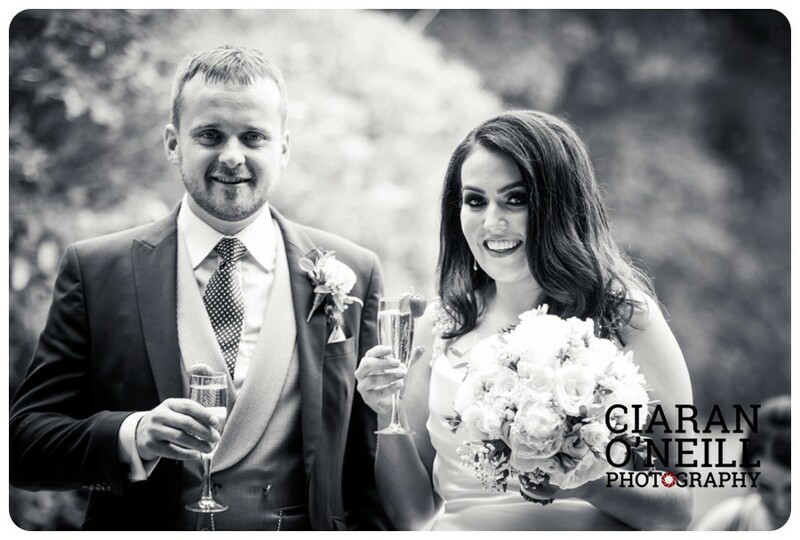 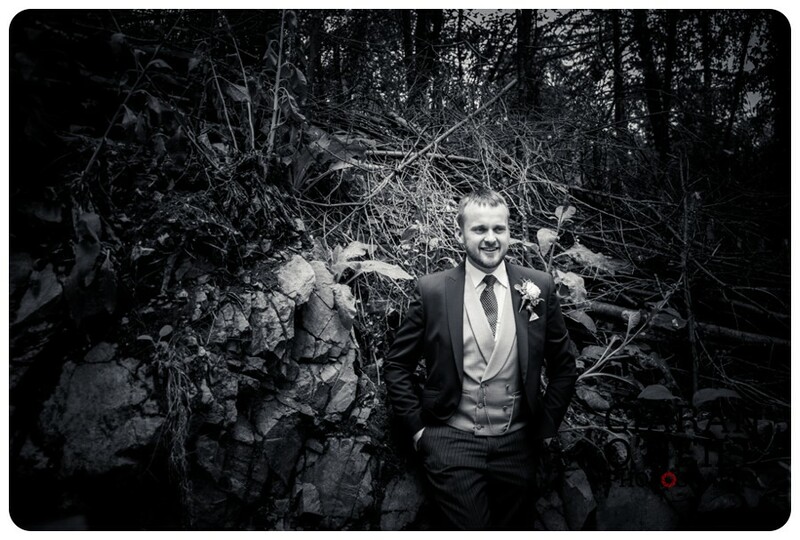 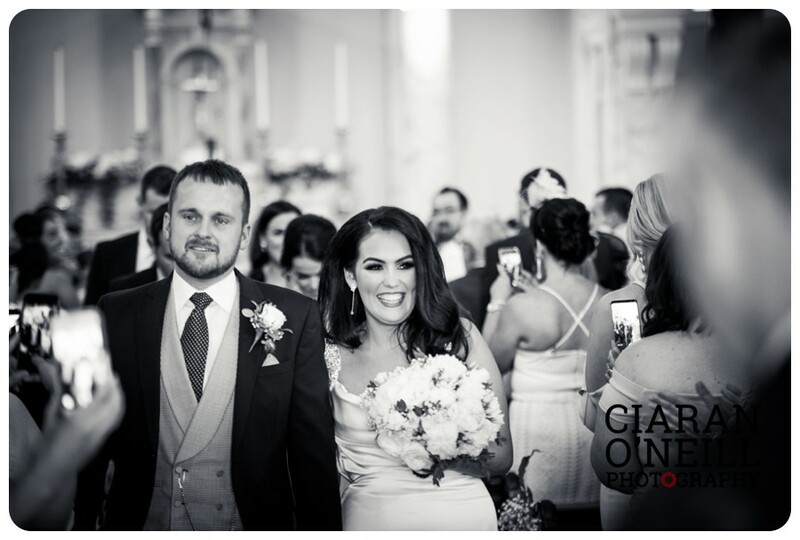 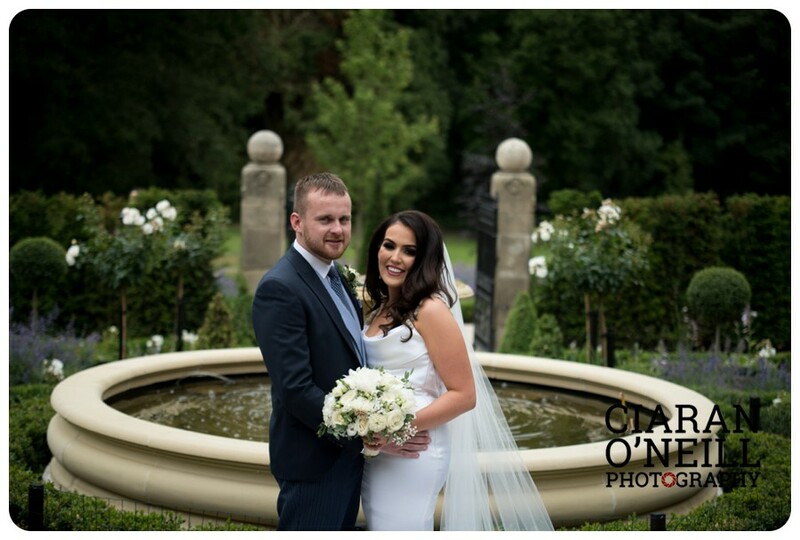 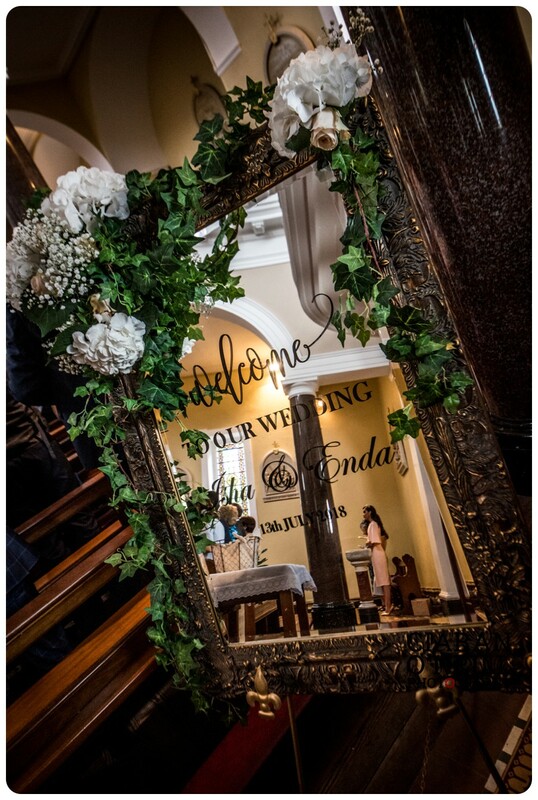 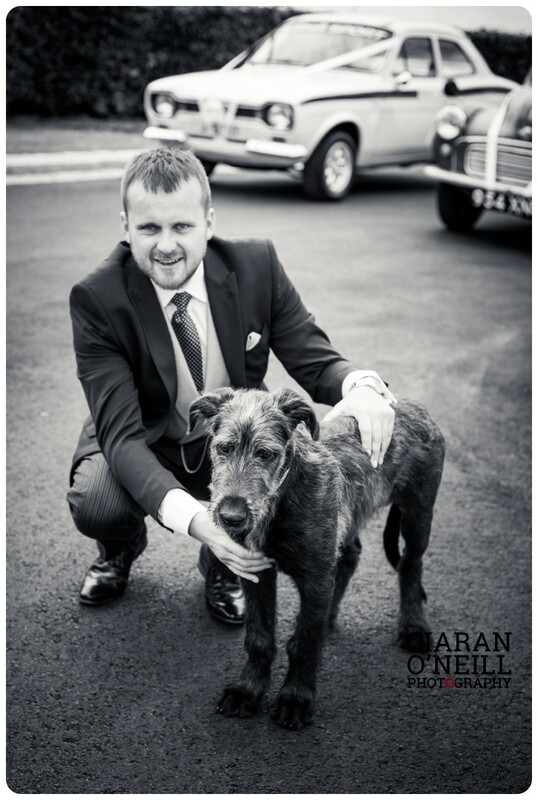 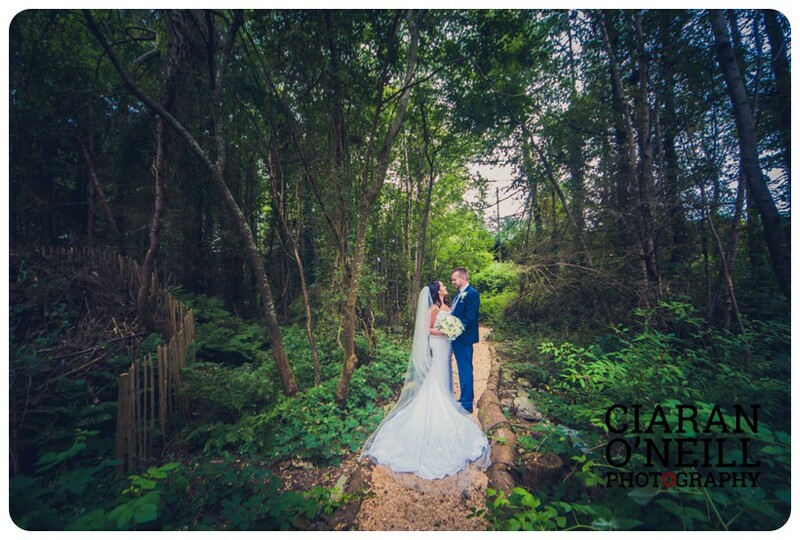 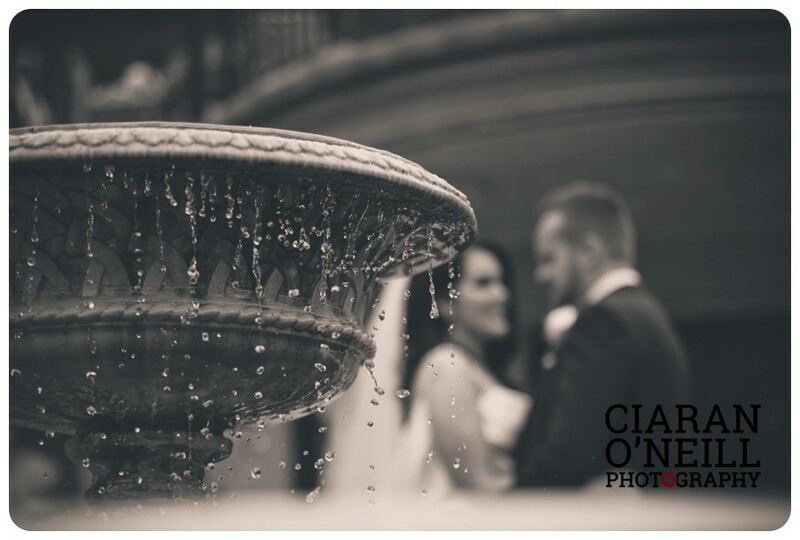 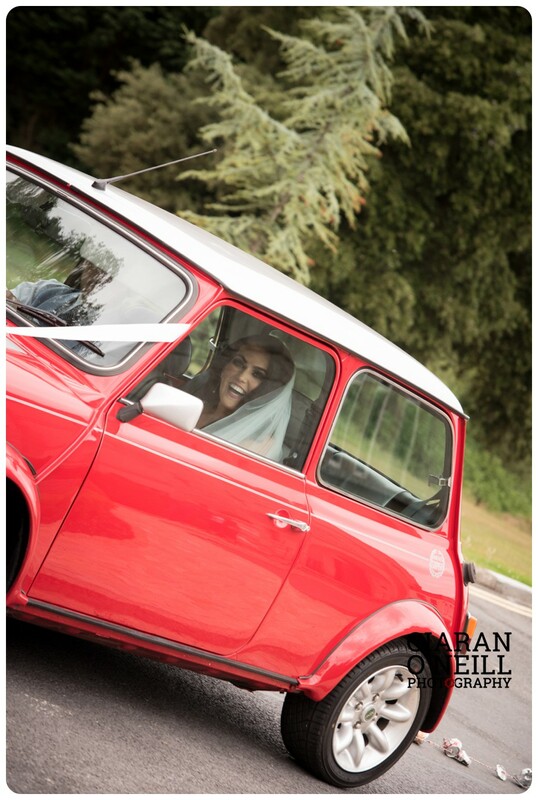 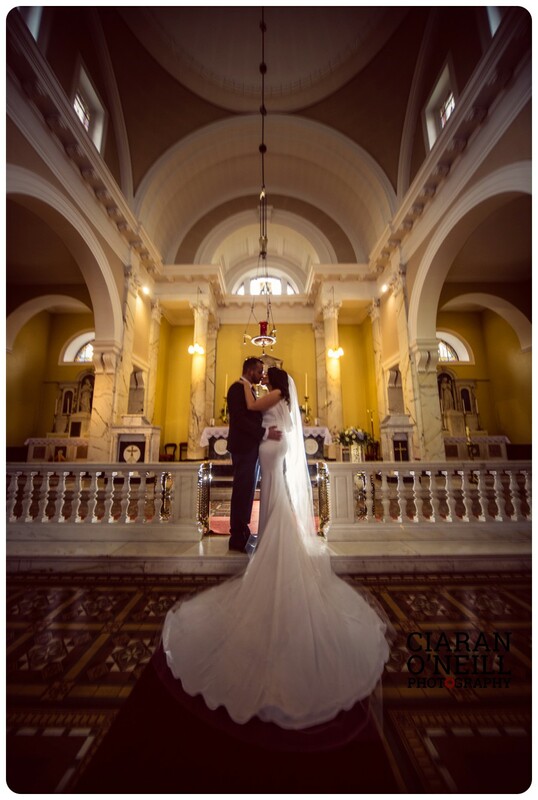 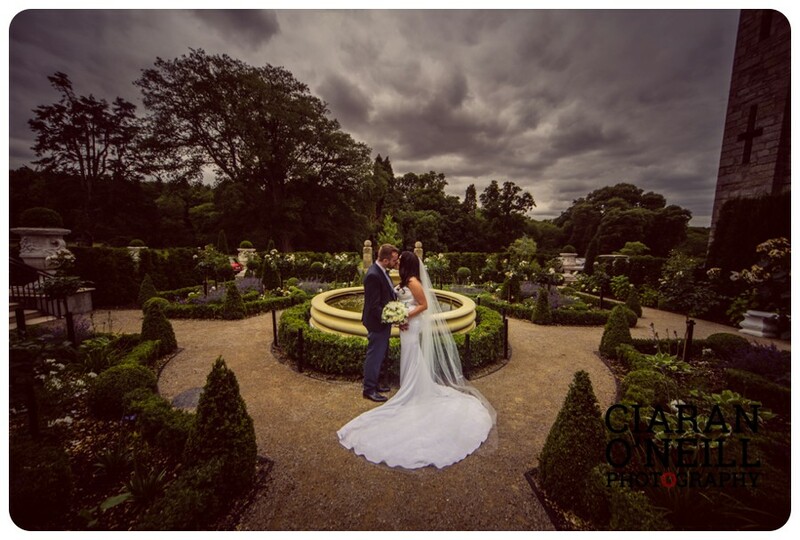 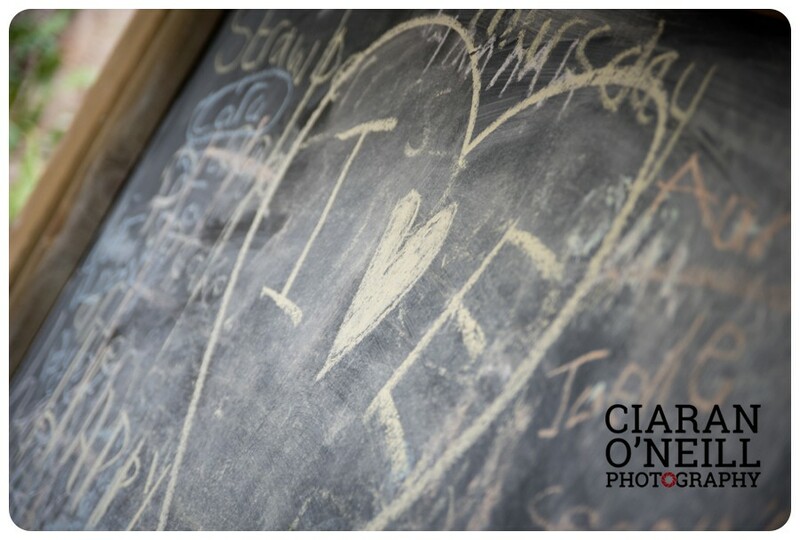 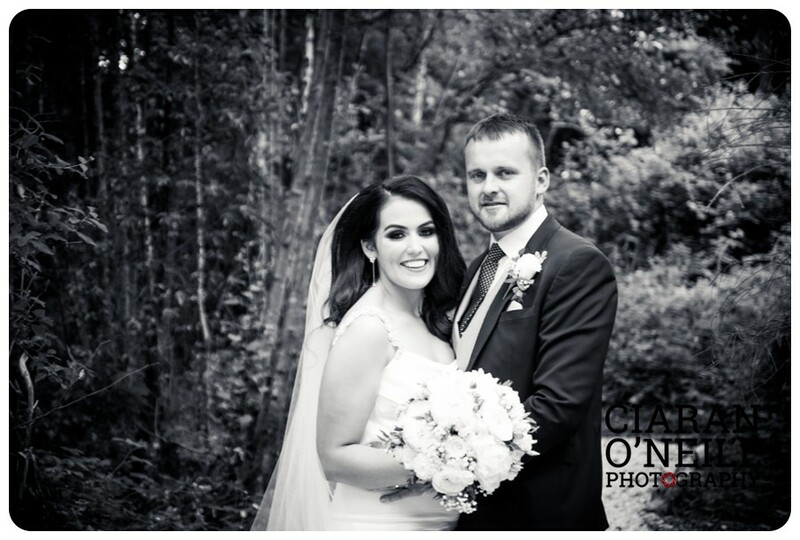 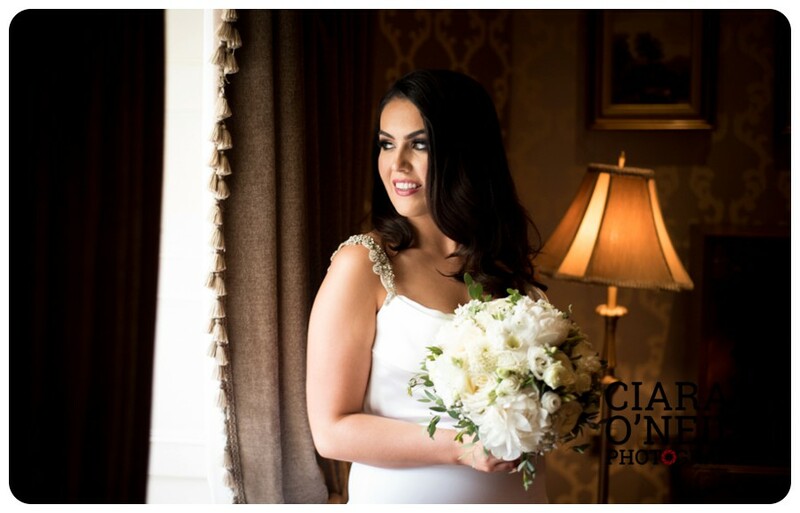 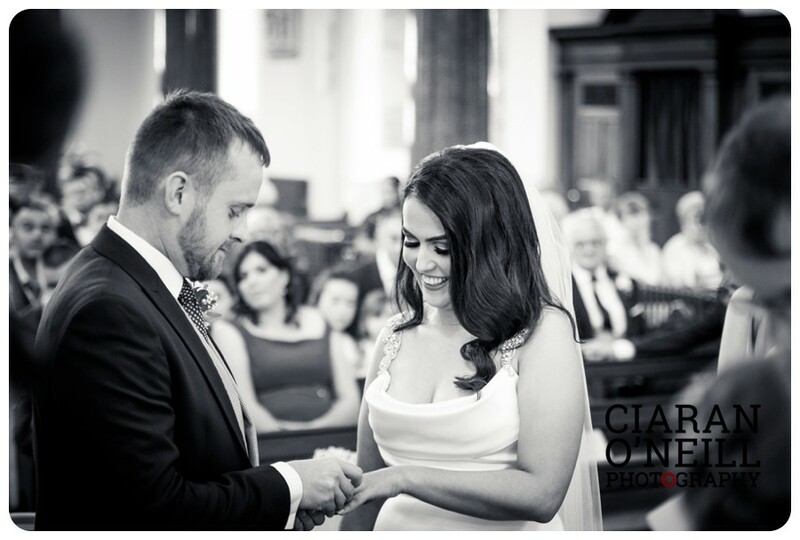 Isha Comiskey and Enda Hughes who were recently married in Glassdrummond Chapel. 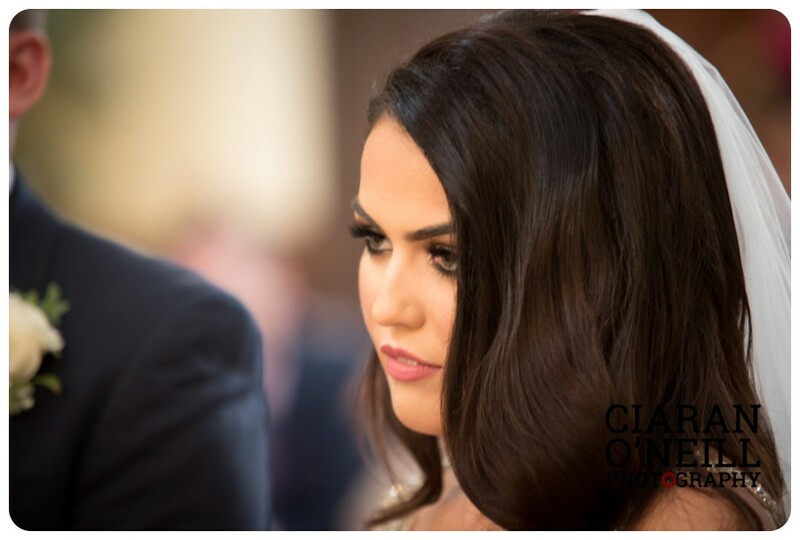 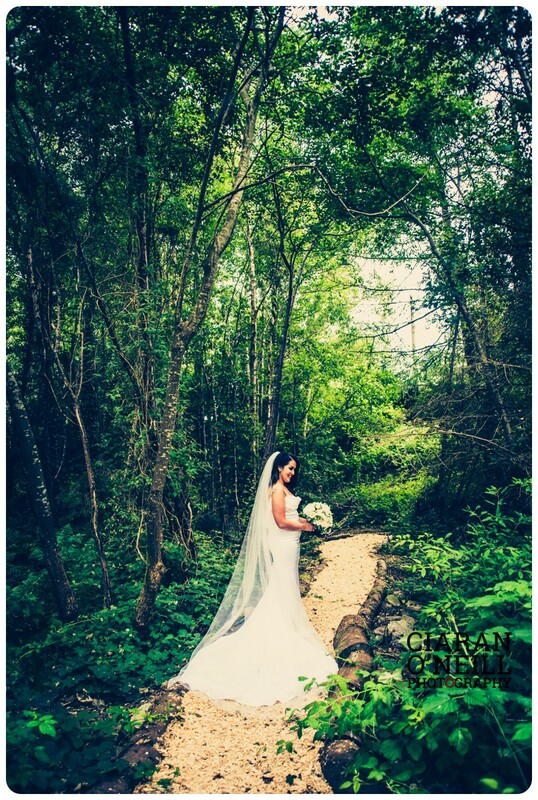 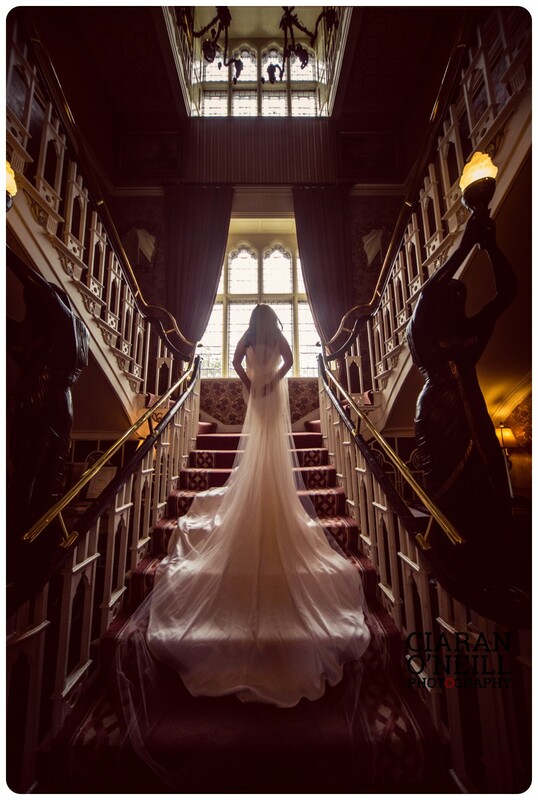 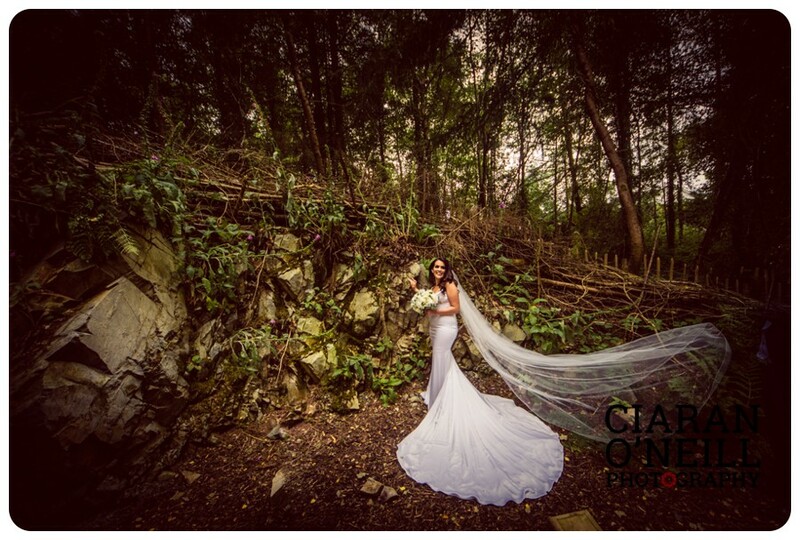 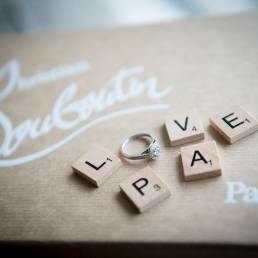 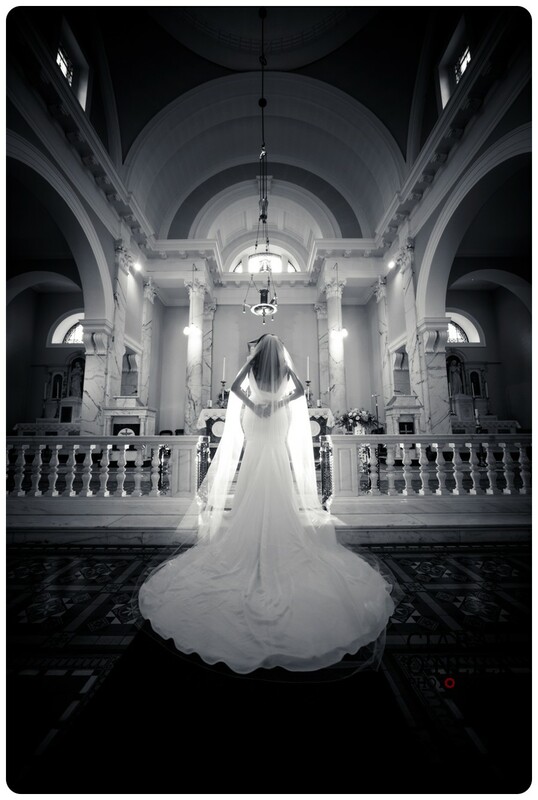 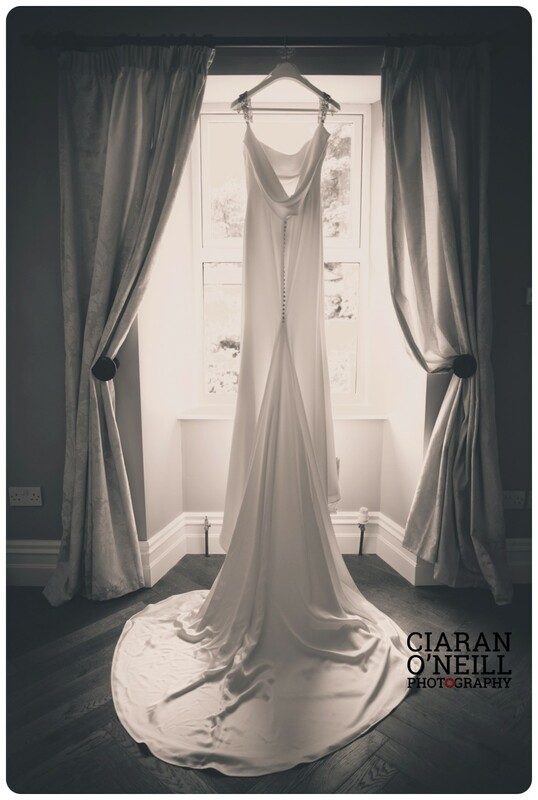 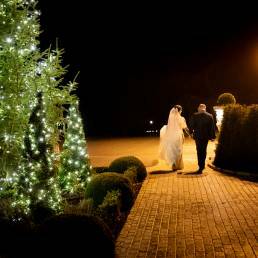 The bride wore a stunning gown from La Boda Bridal. 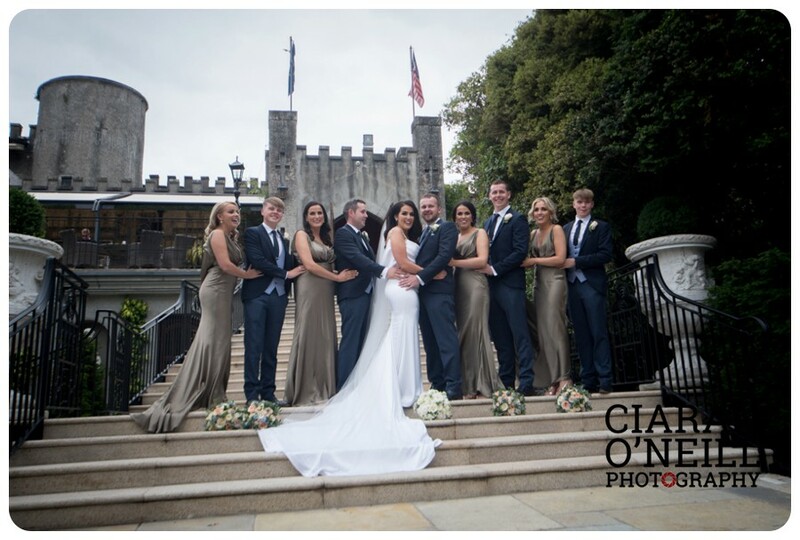 The bridesmaids wore custom made dresses by Una Rodden. 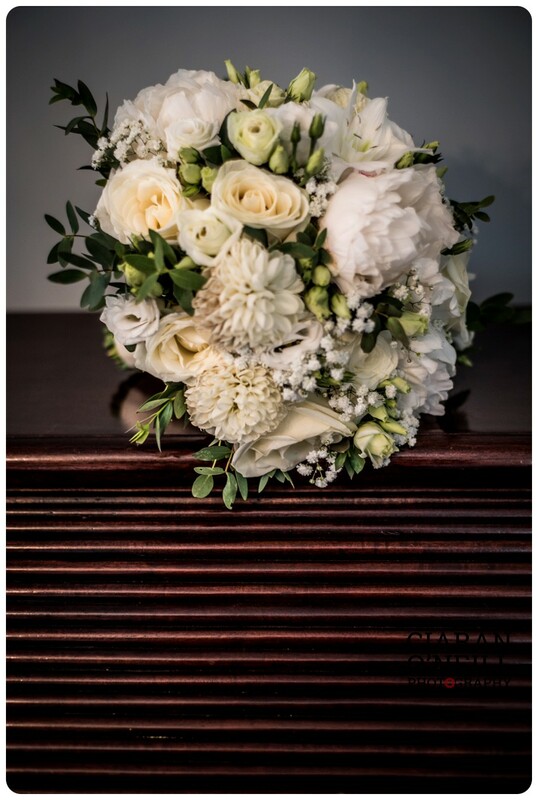 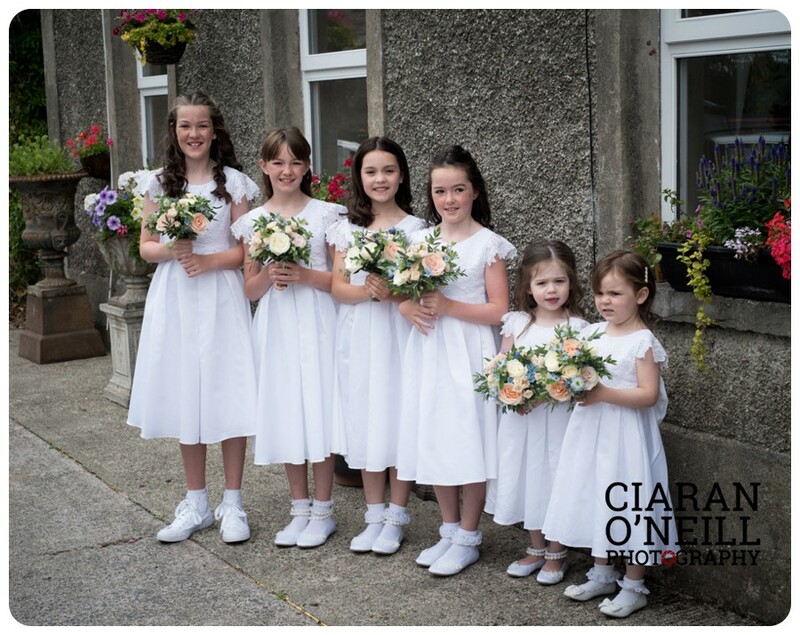 The girls carried flowers by Flower Studio Dundalk. 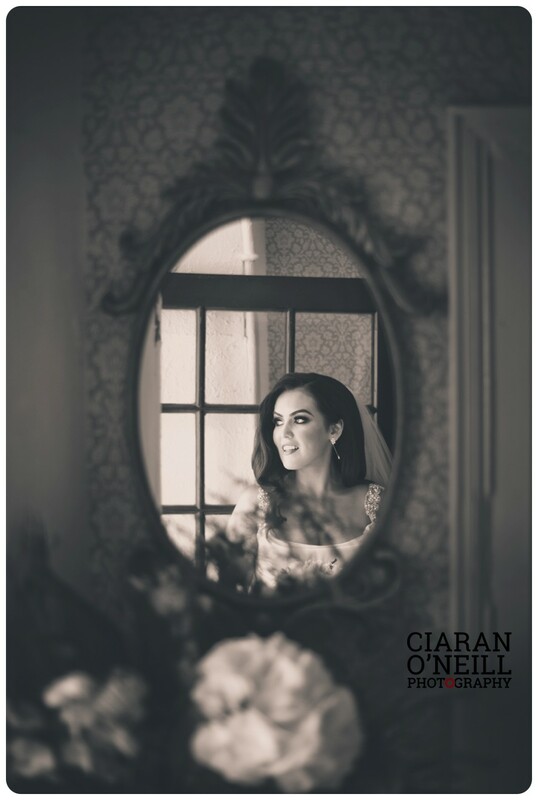 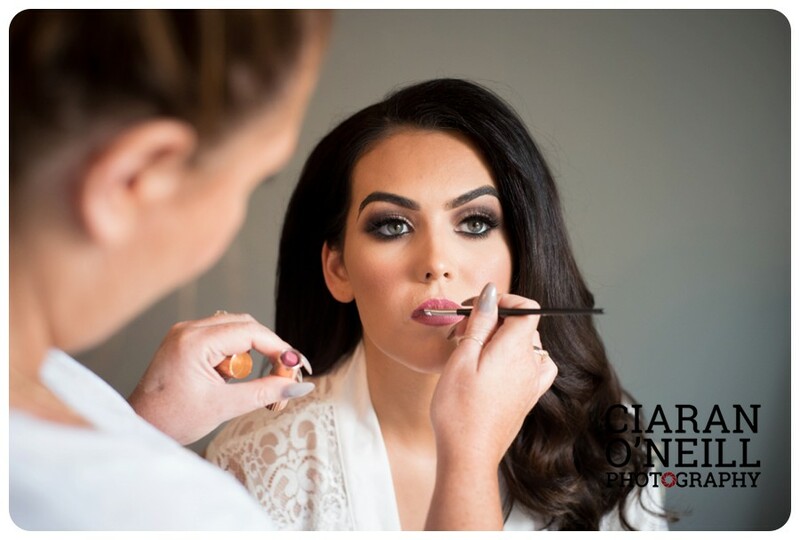 Make up was by Fiona Murphy and hair by Kay Burns Couture Styling. 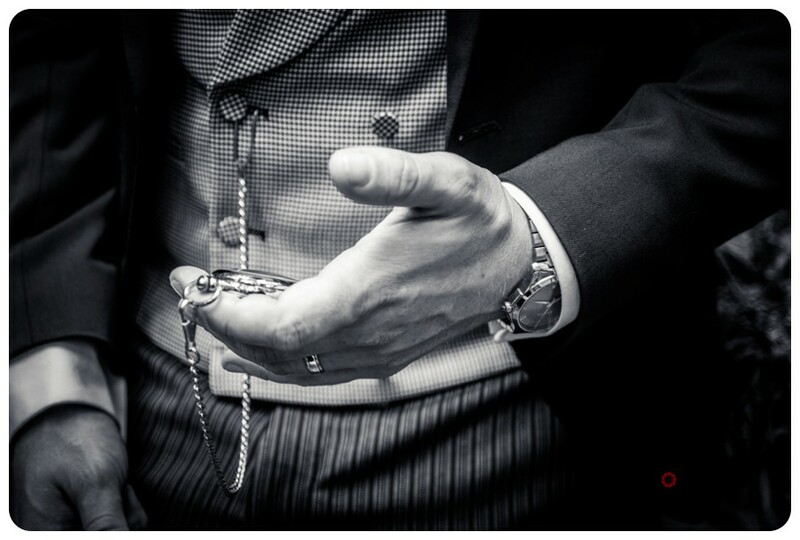 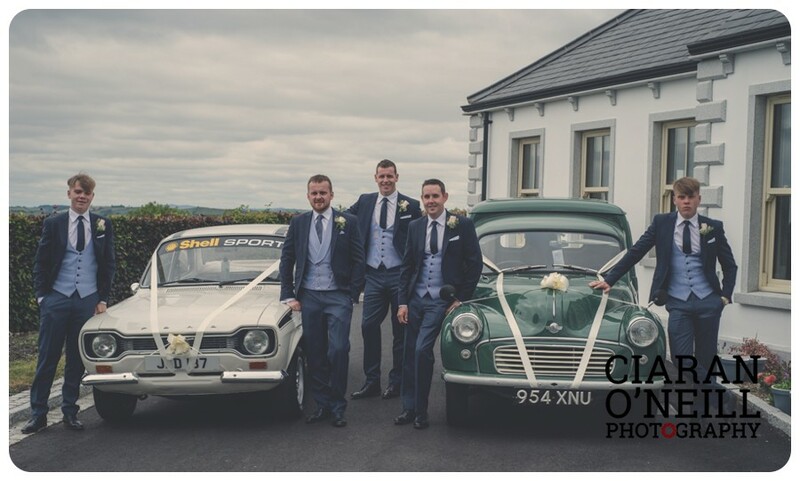 The groom and his groomsmen wore suits by Statement Menswear. 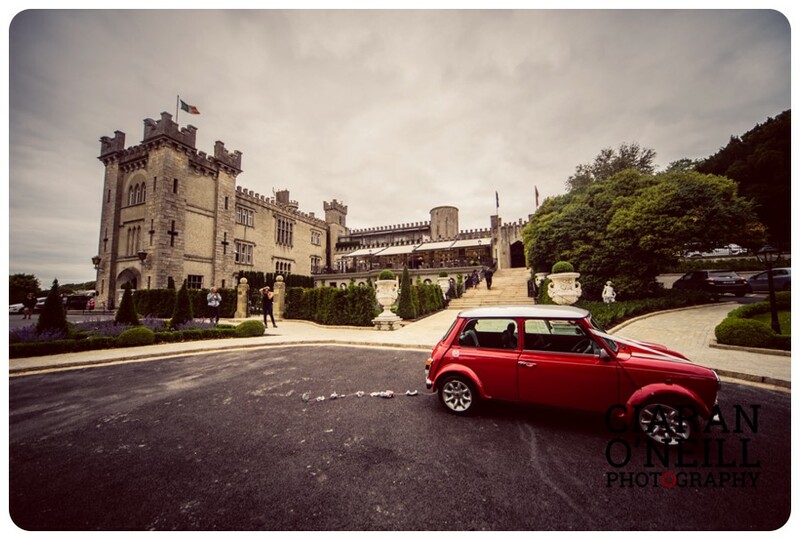 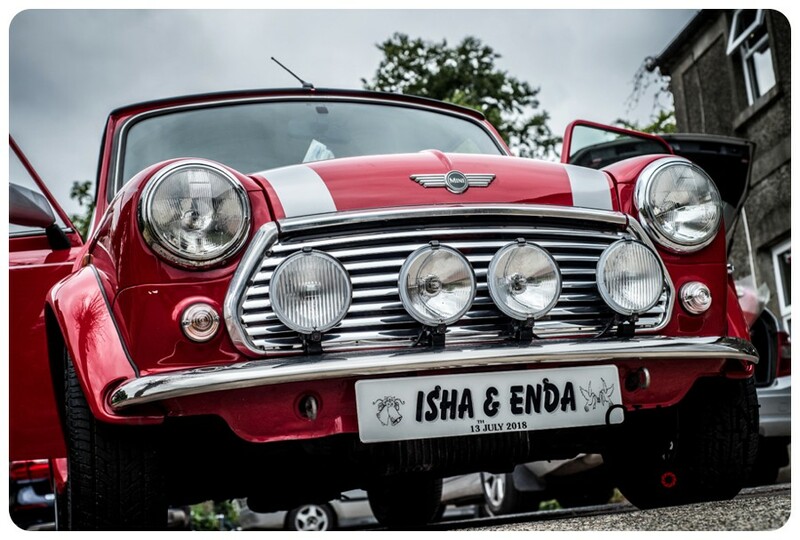 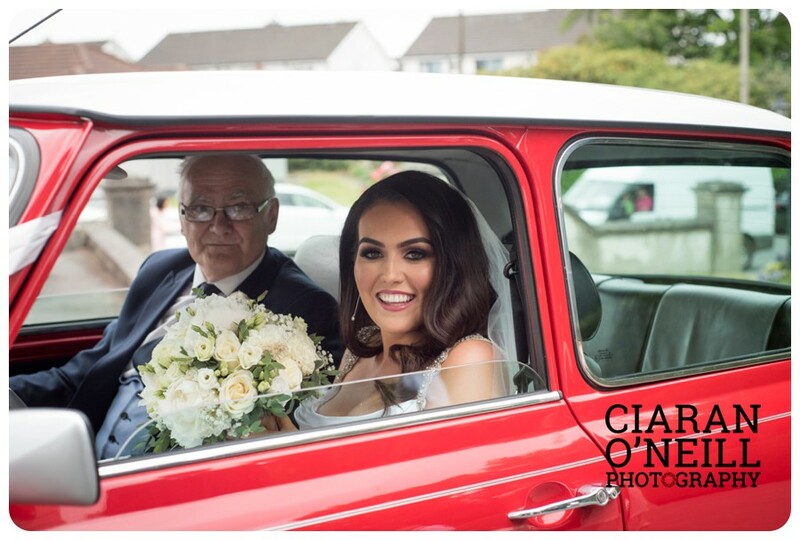 Lawlor Services Dublin provided the transport to their reception at the amazing Cabra Castle, where the cake from Cake Couture took centre stage.